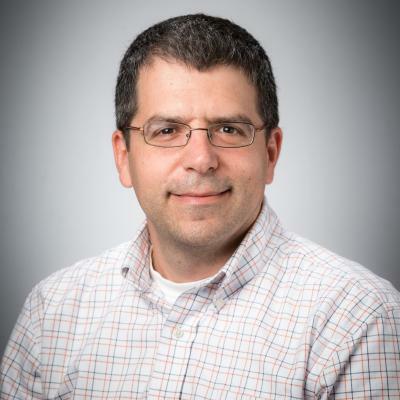 Dr. Apostolou is a teaching-track assistant professor in the W Booth School of Engineering Practice and Technology in the field of process automation. A chemical engineer with a Dipl.Eng. from the Aristotle University in Greece and a Ph.D. from the University of Minnesota, he has been teaching at McMaster for over ten years in a variety of fundamental engineering and process modeling courses. In his courses he strives to help his students reach and increase their potential, while equipping them with the tools necessary to become productive citizens. To achieve that, he uses ample active learning in the classroom, blended learning through on-line quizzes, and practical training through labs. Teaching in an applied field, he always tries to connect theory to practice through everyday examples and by actively pursuing students’ interactions with the industry and the community. He has served as the Chair of the Automation Engineering Technology Program and has been a MacPherson Institute Research Fellow. In 2017 he received the President's Award for Outstanding Contributions in Teaching and Learning. Dr. Apostolou's research interest are in the area of deep learning through technology-enhanced learning. He has also got extensive eperience in computational fluid dynamics with emphasis on complex and multiphase flows on the micro scale. Thermodynamic principles; heat engines; gas turbine cycles; air conditioning; conductive, convective and radiative heat transfer, heat transfer coefficients, heat exchangers, vehicle thermal management components and systems. Prerequisite(s): AUTOTECH 2AE3; ENGTECH 1CH3, 1MT3, 1PH3, and registration in level II or above of the Automotive and Vehicle Technology program. Fluid statics, flow in closed conduits, dimensional analysis and similarity, energy and Bernoulli’s equation, flow kinematics, hydraulic cross-sections, energy loss in piping system, fluid Machinery.